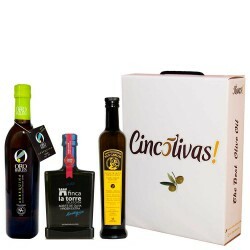 Four of the best extra virgin oils in the world gathered in this exclusive pack that will surely make you enjoy the most outstanding properties of olive oil. 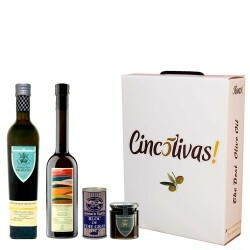 As a gift, you will certainly succeed because of the excellence of each and also note that you are giving health, so it's a double gift: taste and wellness. 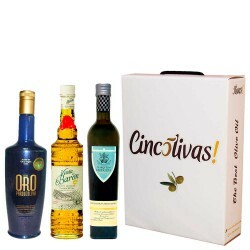 If you want be successful, for sure with this pack you will get and the valuation will be very, very positive. 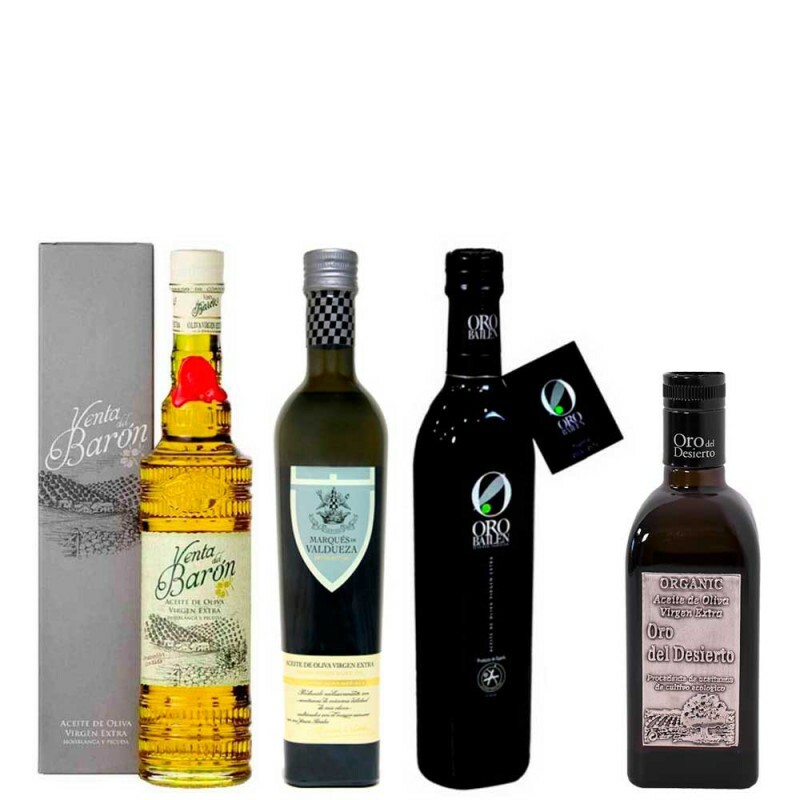 I recommend you see the page of each of these oil and check yourself its undoubted quality. 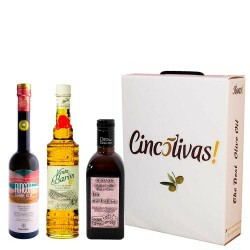 If what you want is to know by yourself a variety of the best oils in the world, this is also the best lot for it and at an unbeatable price. Do not hesitate! 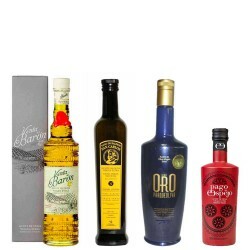 Arbequina, Picual, Hojiblanca, Picudo and Morisca. Producer: Almazara de Muela S.L., Oro del Desierto, Marques de Valdueza and Oro Bailen. 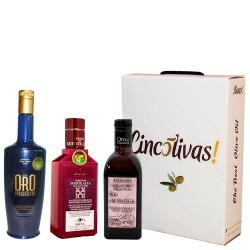 This extra virgin is a very fruity oil, medium intensity upon entering the mouth it is followed by a slightly bitter and spicy touch. These characteristics have made that it is in the kitchens of the best restaurants around the world and is used by prestigious chefs.